Both my second teams have made it to the play-offs. Oldham have finally managed to get there and Lincoln will be trying for the fifth time. 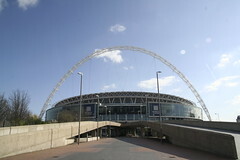 Hopefully one of the teams will make it to the finals, and I’m sure that if they do, I’ll try to get a ticket for Wembley.